Although only 316 square kilometers, Malta's size is one of its greatest advantages, allowing visitors to do more in less time. All the country's most important monuments can be reached easily by bus or car, and it only takes an hour to drive from one end of the island to the other. Malta's sister island, Gozo, is only a 30 minute ferry ride away, and offers an entirely different experience to the traveller. Area: 316 sq km (122 sq miles). Population: 400,000 (1997, excluding non-Maltese). Population Density: 1189.0 per sq km. Climate: Summer is usually hot and dry. Autumn and Spring are cooler but still quite warm. Winter is usually very mild, with the occasional cold spell brought about by the north and north-easterly winds from central Europe. Driving: In Malta driving is on the left. There are speed limits of 80 km/h on the open road and 50 km/h in built-up areas, unless otherwise indicated on relevant road signs. Electricity: The three-pin rectangular plug system is used, as in Britain. Geography: The Maltese archipelago is situated in the middle of the Mediterranean, with the largest inhabited island, Malta, lying 93km (58 miles) south of Sicily and 290km (180 miles) from North Africa. 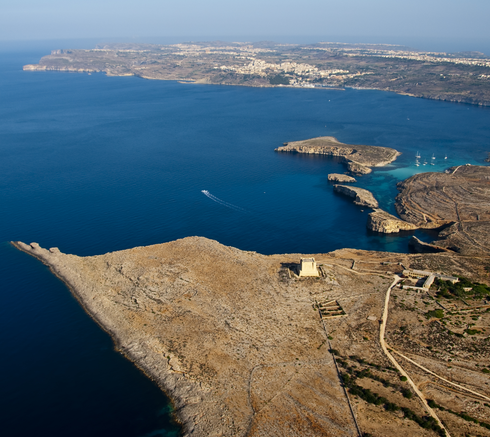 Gozo and Comino are the only other inhabited islands. The landscape of all three is characterised by low hills with terraced fields. Malta has no mountains or rivers. Its coastline is indented with harbours, bays, creeks, sandy beaches and rocky coves. The Maltese Islands possess an astoundingly rich heritage, being home to ancient civilisations and the cream of European nobility in the early Medieval to the mid-Renaissance period. There's never a shortage of things to do in Malta, and the fantastic weather provides you with the freedom of being able to practise your chosen activity all year round. The islands have a vibrant calendar of theatre and concerts, classical and modern. Many are held outdoors or in historical venues.